This guide explains active transportation and the conditions in a community that support safe walking and bicycling to schools and other neighborhood destinations. It offers tools for local governments to support active transportation. 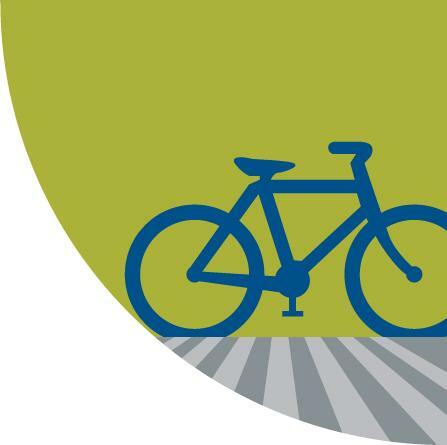 Because decisions about transportation investments in California occur across an array of agencies, the guide explains the regional and state context within which local leaders can collaborate to create safer walking and bicycling environments. Get started by reading About this Guide. Then use the navigation bar on the left to move through the toolkit or skip to content most relevant to you. You can always get back to the front page by clicking the link on the right-side of each page. 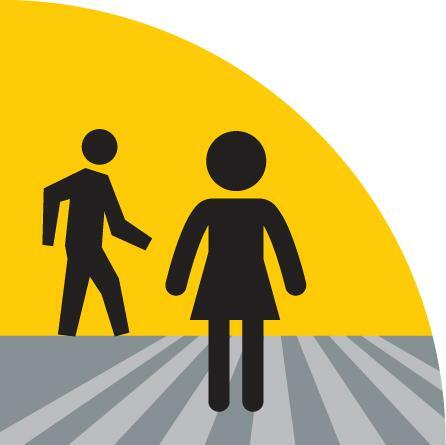 This guide was developed to support local school, city, and county officials and their executive staff who want to promote pedestrian and bicycle safety for students traveling to and from school, as well as expanding active transportation choices for all residents through Safe Routes to School and other programs. 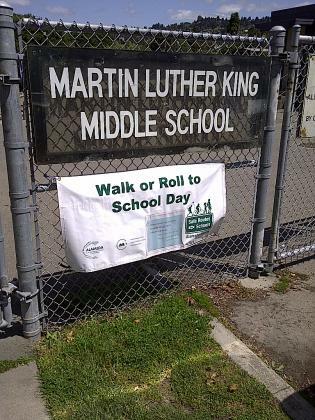 Safe Routes to School awards are well known and utilized but unfortunately limited. By understanding the greater transportation planning and resource allocation processes, and learning some of the important questions to ask, local leaders can understand their community’s unique situation and prioritize Safe Routes to School requests to complement other investments. While each Safe Routes to School project may be managed by a single agency, it will have longer-lasting benefit if the project aligns with a collaborative vision and active transportation infrastructure planning. California was the first state in the country to legislate a Safe Routes to School (SR2S) program with the enactment of AB 1475 in 1999. 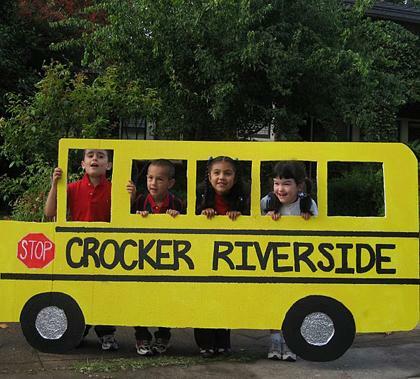 A complementary federal Safe Routes to School (SRTS) program came into effect in August of 2005. The California Department of Transportation administers both federal and state programs and, as of early 2012, has awarded $426 million through these two programs. These two award programs have helped California communities improve pedestrian and bicyclist safety infrastructure around schools and offer programs which educate and encourage students to safely walk or bicycle to school. Safe walking and bicycling to school is one benefit of active communities, places where people of all ages and abilities can get to a destination without having to rely on a car. In these communities, people feel safe to walk, want to bicycle and have destinations within short distances. These active communities offer access to a public transportation network that takes residents to locations beyond their comfortable and timely walking distance. Active communities have an active transportation infrastructure that includes sidewalks, bicycle lanes or paths, and safe street crossings. Planning for active transportation and planning for safe routes to school are closely related. Creating safe routes for children walking and bicycling between school, their home, and extracurricular activities improves conditions for the community as a whole. Local decision-makers who understand the varied ways in which transportation planning and investment happen in their region will have access to more resources to address goals like reduced traffic congestion, improved mobility choices, and increased walking and bicycling to school. By thinking about safe routes to schools within the regional context of transportation and land use policies and plans, local decision-makers can bring multiple resources together to create places where students and the community have safe and enjoyable places to walk and bicycle. Collaboration and coordination across local and regional jurisdictions is the smart way to foster active communities, especially in an era where transportation funding is declining. By using safe routes to school as a platform to collaborate across city, county and school jurisdictions, local decision-makers can leverage other funding and coordinate community infrastructure investments. Opportunities also exist for local decision-makers to leverage and reform existing sources of transportation revenue, as it is largely comprised from local fees and taxes often tied to local development. There are many concerns that might lead local government leaders to care about promoting active transportation by creating safer communities for students and others to walk and bicycle to school and other destinations. These include: community safety, obesity and health issues, student achievement, busing costs, property taxes and school revenue, creating a sense of community or place, air pollution and traffic congestion. Many schools are located in neighborhoods with unsafe conditions that inhibit walking or bicycling and endanger children who use these modes of transportation. In a nationwide survey by the U.S. Center for Disease Control and Prevention, traffic-related danger was the second most common reason cited by parents for not allowing their children to walk to and from school. An active transportation planning process to create safe routes to walk and bicycle addresses real dangers through infrastructure improvements, regulations, enforcement and safety education. By burning calories instead of gasoline, residents combat an array of diseases caused by sedentary lifestyles. Being active has been shown to reduce the risk of type II diabetes, asthma, joint problems, heart disease and stroke. Children are suffering increased rates of health problems related to a lack of physical activity. A study (PDF) by the UCLA Center for Health Policy Research and the California Center for Public Health Advocacy found that 38 percent of California youth in fifth, seventh and ninth grades were overweight or obese in 2010. Safe routes to school and other active transportation options allow for physical activity as part of a normal daily routine. Physical activity and fitness are associated with improved cognitive functioning, stronger academic achievement, increased concentration and better test scores. Safe routes to school allow for daily activity leading to these benefits. Nationwide, the cost of busing students has sky-rocketed from one billion dollars in 1976 to $20 billion by 2007. Creating safe routes can reduce the need for hazard busing, which is the practice of busing students due to unsafe walking and bicycling conditions, even when they live near a school. The California Department of Education provides data of the annual cost of busing throughout the state (bottom of this page). Recent studies conclude that real estate values can be 30 percent higher in walkable neighborhoods. This translates to higher tax revenues and local purchases. Walking and bicycling to school can improve academic performance by children. Schools with higher academic achievement increase local property values and attract new residents to the area. For schools, healthier students mean increased average daily attendance reimbursements and reduced indirect costs of administering prescriptions and serving children who are ill, fatigued or anxious from the social costs of obesity. For counties, these benefits can also reduce the long-term demands on public health resources. Neighborhoods with high pedestrian activity build social cohesion and create “eyes on the street” to discourage crime. Active transportation planning processes, such as walkability and bikeability audits, provide an opportunity for residents to work together and take shared ownership of their neighborhood. Common safe routes to school strategies, such as a “walking school bus” give neighbors a reason to continue interacting after the planning process is completed. In California, by reducing vehicular miles traveled through greater walking and bicycling, cities and counties contribute to the goals of AB 32 and SB 375 to reduce greenhouse emissions. Trips taken by parents dropping children off to school adds significantly to the vehicular miles traveled and the time spent with cars idling, both of which contribute to green house gas emissions. Reducing traffic congestion also improves the levels of service on nearby roadways and improves air quality for everyone living, working and learning at or near the school. Traffic congestion can be significantly reduced around schools and throughout the community if shorter trips are accomplished by walking or bicycling. Many conditions must be in place to implement safe routes to school and encourage more active forms of local transportation. This section examines the role of thoughtful local leadership and community readiness. Decisions about transportation programs and infrastructure occur at all levels of government. When embarking on a safe route to school project it is important for local leaders to understand that they have many opportunities to influence transportation decisions that may not be immediately apparent. Transportation planning in California is complex. This section helps explain how individuals, agencies, departments and planning processes can be used to, and do, influence transportation infrastructure in California. Different levels of government in California have authority to raise revenues or receive state or federal funds for transportation projects. This section describes designated authority and revenue sources so that local leaders can understand funding beyond specific Safe Routes to School awards and how projects can be designed to take advantage of multiple sources of funding. On September 26, 2013, Governor Brown signed legislation creating the Active Transportation Program (ATP) in the Department of Transportation (Senate Bill 99, Chapter 359, and Assembly Bill 101, Chapter 354). The Active Transportation Program consolidates various state and federal transportation programs, including the Transportation Alternatives Program (TAP), Bicycle Transportation Account (BTA), and State Safe Routes to School (SR2S) into a single program. The Active Transportation Program is administered by the Division of Local Assistance, Office of Active Transportation and Special Programs. 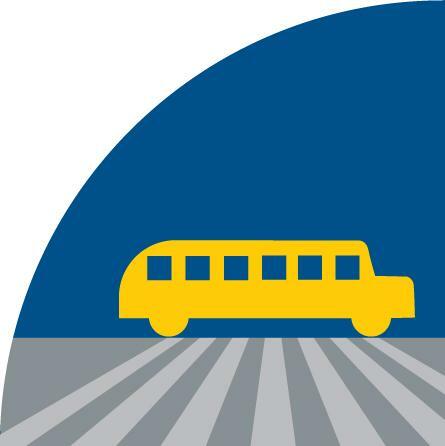 Guidelines for the program were adopted on March 20, 2014, by the California Transportation Commission (CTC). On September 26, 2013, Governor Brown signed legislation creating the Active Transportation Program (ATP) in the Department of Transportation (Senate Bill 99, Chapter 359, and Assembly Bill 101, Chapter 354). The Active Transportation Program consolidates various state and federal transportation programs, including the Transportation Alternatives Program (TAP), Bicycle Transportation Account (BTA), and State Safe Routes to School (SR2S) into a single program. The Active Transportation Program is administered by the Division of Local Assistance, Office of Active Transportation and Special Programs. Guidelines for the program were adopted on March 20, 2014, by the California Transportation Commission (CTC). Local governments have developed an array of tools to help plan, prioritize, implement, monitor and finance programs and facilities that support active transportation. These tools are valuable resources for local leaders interested in creating safe routes to schools. Appendices include a list of all resources referenced throughout this toolkit and a glossary of terms commonly used. The contents of this website reflects the views of the Institute for Local Government and the Cities Counties Schools Partnership who is responsible for the facts and accuracy of the data presented herein. The contents do not necessarily reflect the official views or policies of the State of California or the Federal Highway Administration. This website does not constitute a standard, specification or regulation. The Safe Routes to School Decision Maker Toolkit was developed by the Cities, Counties and Schools Partnership and the Institute for Local Government for the California Safe Routes to School (SRTS) Technical Assistance Resource Center (TARC). The SRTS TARC is a program within California Active Communities, a joint Unit of the University of California, San Francisco and the California Department of Public Health, and is funded through a SRTS Non-Infrastructure award from the California Department of Transportation. Need help understanding where to begin?Click here to watch a webinar that goes over toolkit sections. This is the first public version of this toolkit, and is meant to be updated as needed. Please click here to provide comments, feedback, corrections or suggestions to improve this toolkit and keep it up to date. Assisting communities with SRTS by providing trainings, technical assistance and resources. Promoting and encouraging coordination between cities, counties and schools. ILG has compiled some key resources for providing safe routes to school for children. Learn more about Safe Routes to School and health here. Connecting the trip to school with safety, health, community and choice. A comprehensive online reference manual designed to support the development of Safe Routes to School programs from the Pedestrian and Bicycle Information Center (PBIC). Information on state policy regarding applying for federal and state SRTS funding. Although the Institute endeavors to help local officials understand technical and legal concepts that apply to their public service, these materials are not technical or legal advice. Officials are encouraged to consult technical experts, attorneys and/or relevant regulatory authorities for up-to-date information and advice on specific situations.